The day started at 4:30 am at the sound of my alarm. This was far to early to be awake on a Sunday. I finished packing the last few things I needed for the day and waited for my lift. 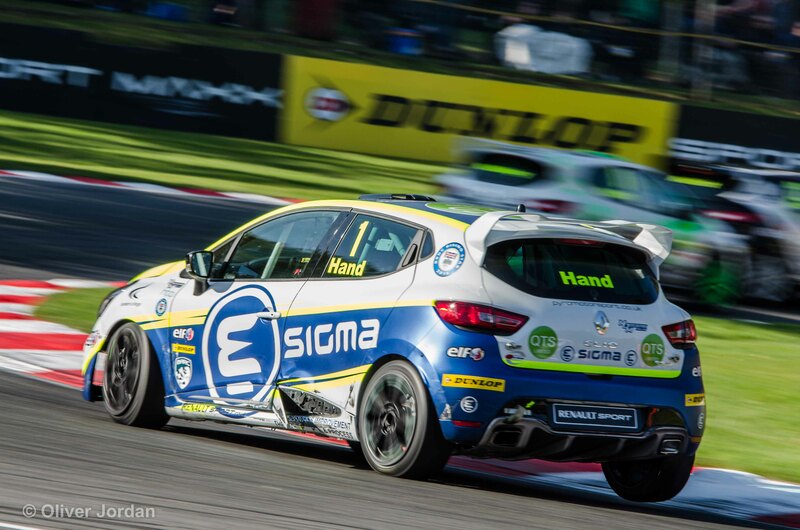 We loaded the stuff into the car including camera gear, folding chairs, food, etc and began the two and a half hour trip to Brands Hatch. The motorway and roads were very quiet at this time and we made good progress. We arrived at the track just as the sun started to come up. The car park we chose was on Druids Corner which turned out to be the place that most people wanted to park. 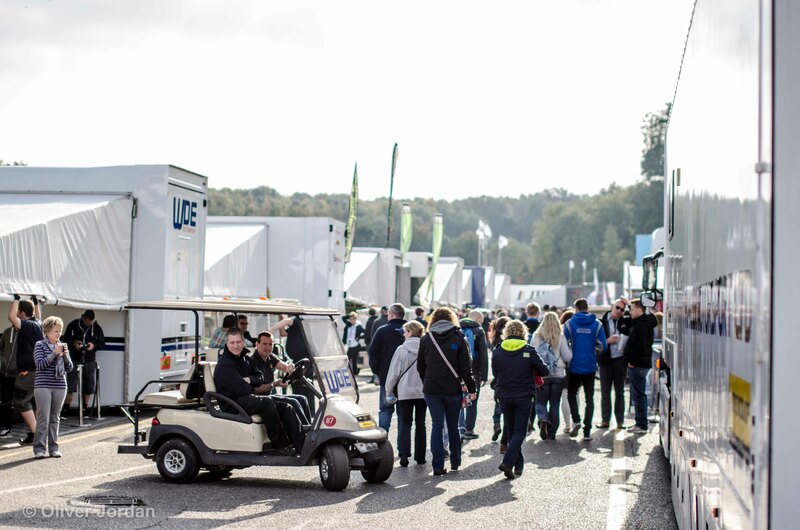 With the car parked, we began walking to the main straight for the first event of the day, the pit lane walk. 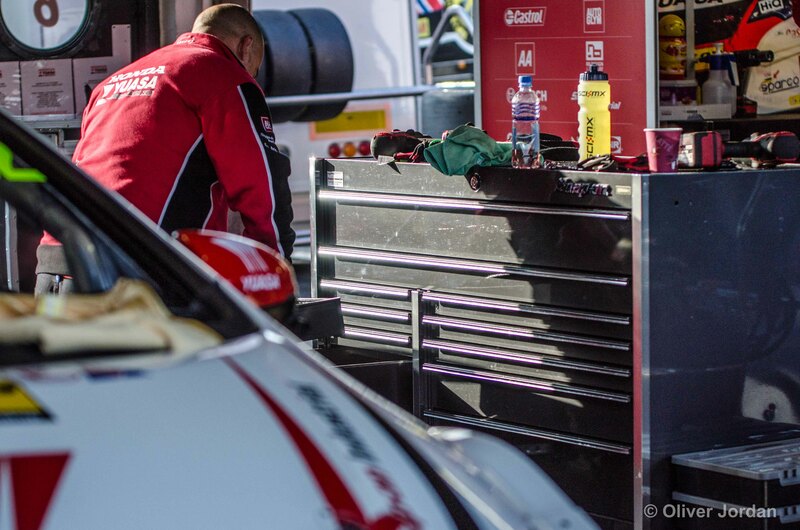 Here was a chance to explore and get a sneak peak inside the touring car garages along with meeting the crew and drivers. 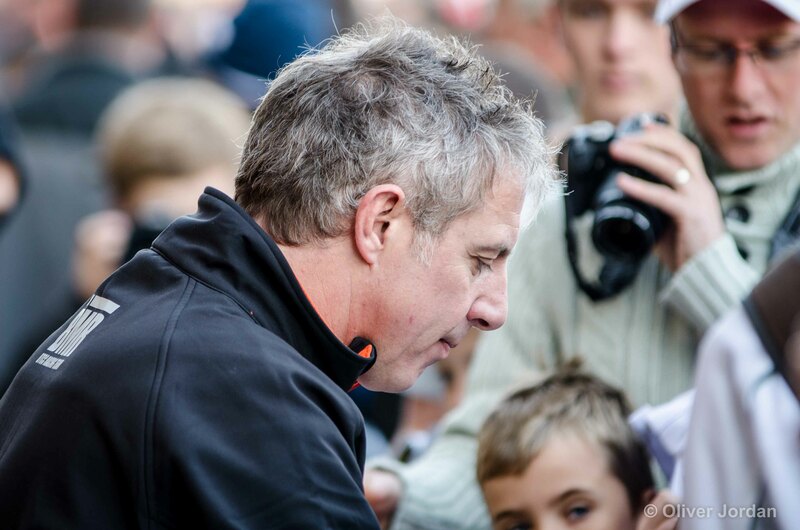 Crowds had flocked to see their favourite drivers and have memorabilia signed. 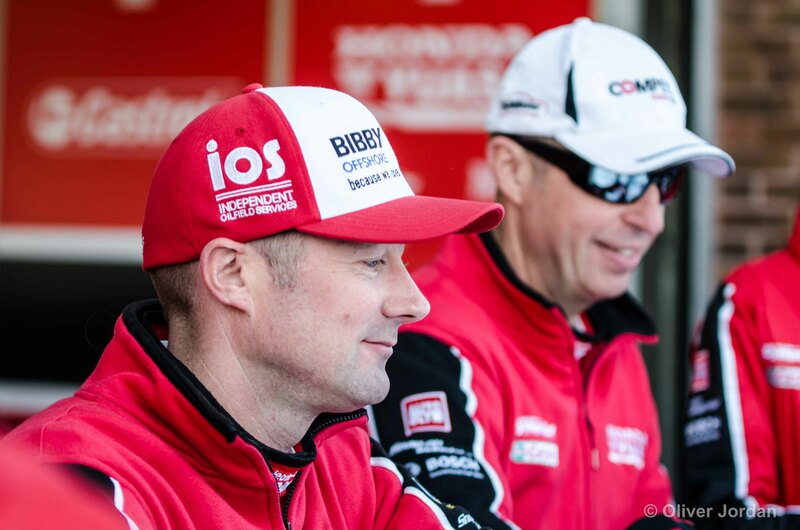 All the drivers were friendly and the crew were happy to answer any questions about the cars. As far as I could tell, there was no limit to the amount of people who could enter the pit lane and it became very crowded, very quickly with everyone trying to squeeze in for the 20 minute window. 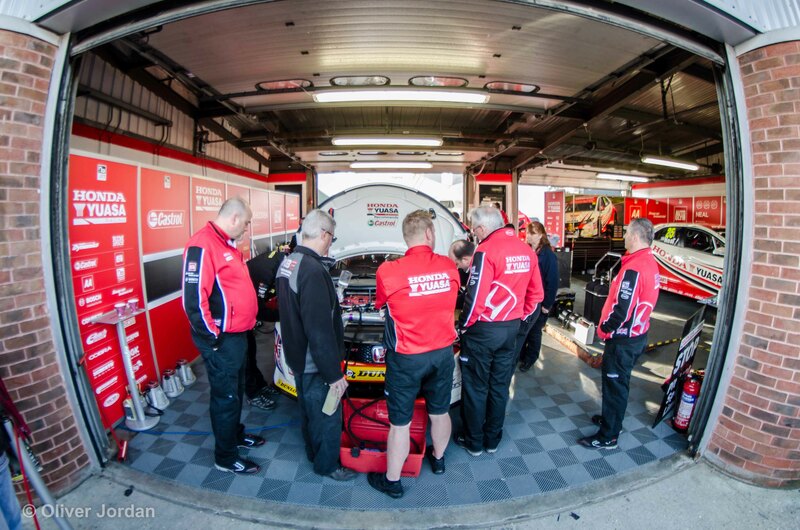 Honda Yuasa Racing was one of the most popular garages with Gordon Shedden being the current leader (and ultimately the winner) of the BTCC 2015. 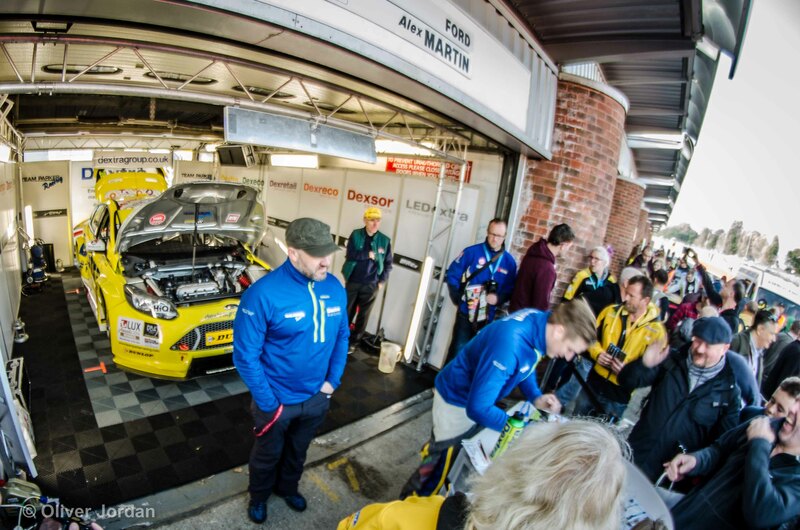 The 20 minutes had now passed and the crowd was being ushered out of the pit lane back to the spectators area. 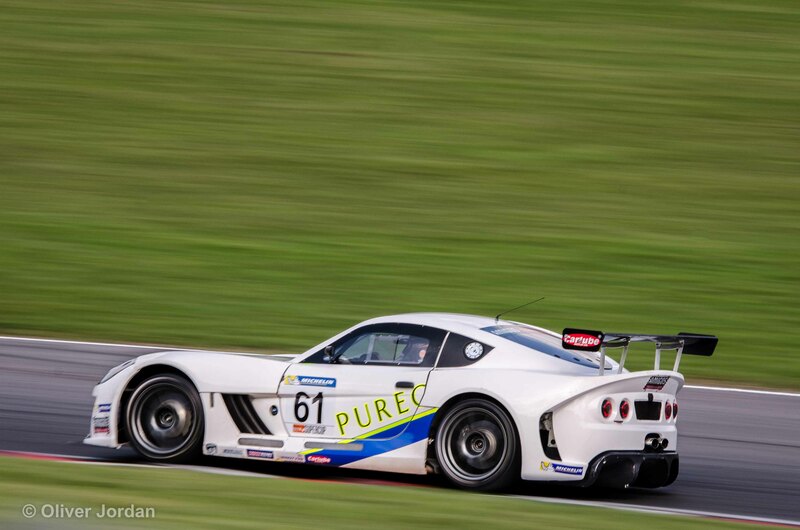 The first race due to start was the Ginetta Juniors. We watched several laps then began exploring the site (which conveniently coincided with the first yellow flag). 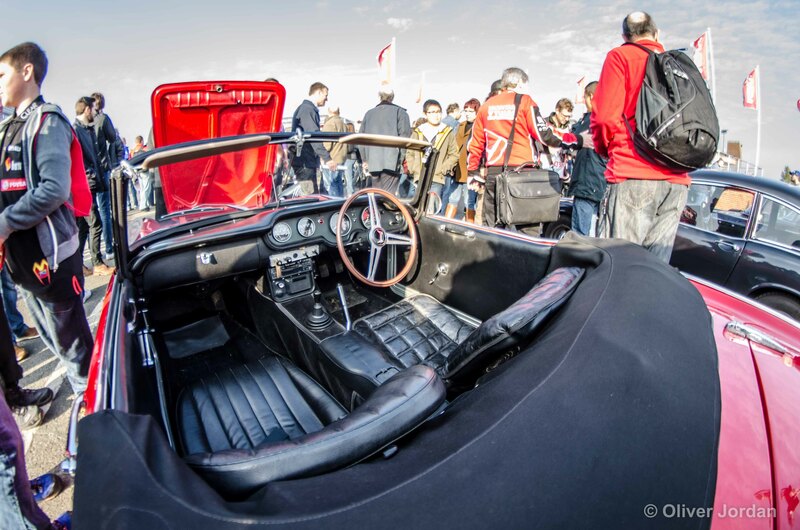 There were several displays and stalls along the public side of the pit straight including car manufacturers/clubs, merchandise stands and of course, food stalls. 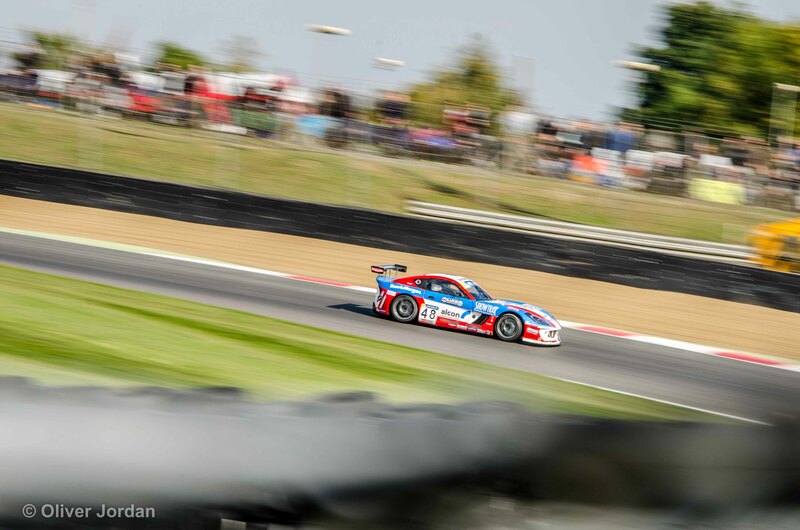 The main focus for the day though was the racing and we ventured back down to the track side after a brief wander, in time for the first BTCC event. We headed back up towards Druids Corner as this seemed like a good viewing point. We could hear the cars on the pit straight starting up; ready for their first lap. The cars headed around the track on the first sighting lap before lining back up on the grid ready for the actual race to start. After the race we headed towards the paddock to see the Clio Cup, Porsche Cup, Ginetta and MSA Formula pit garages/cars. Crews were rushing around trying to get the cars ready in time for the races. 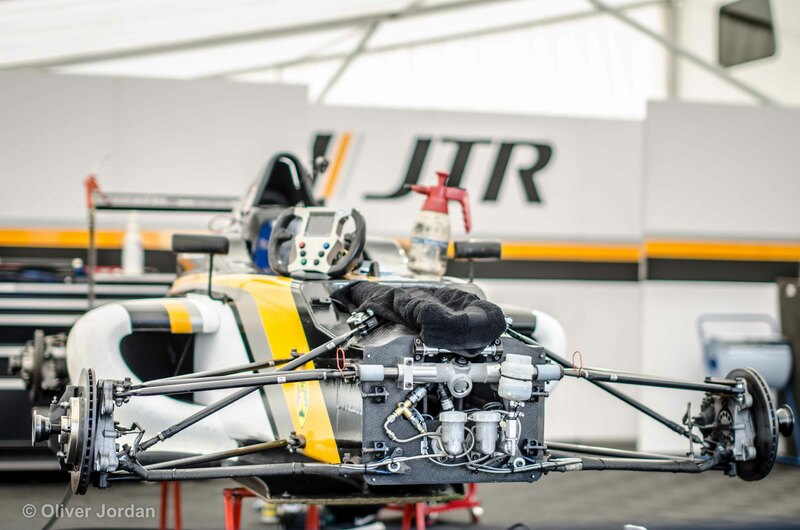 MSA Formula car in bits. At this point the walking had finally caught up with us and it was time for a sit down and some lunch. On the way back to the car it dawned on us how good the location was that we parked in. We could see a wide stretch of track whilst being sat eating mini sausage rolls. What more could you ask for?! 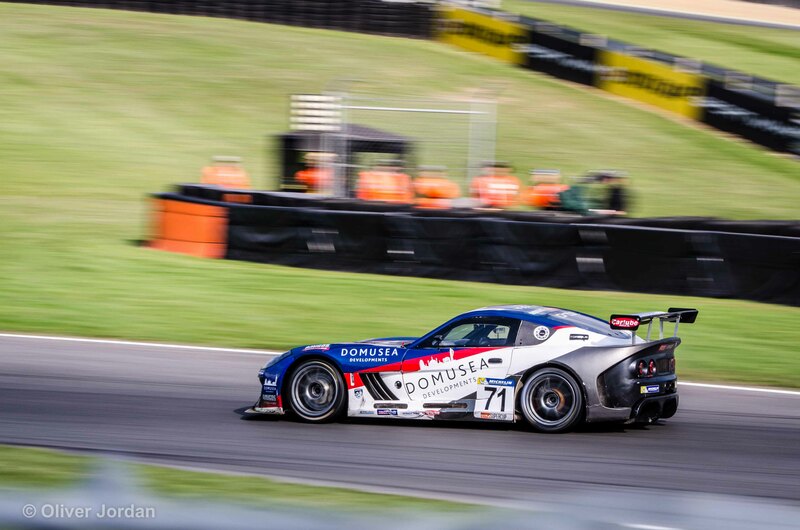 After we had finished eating, it was time for the Ginetta GT4 race to start. We watched from the comfort of our chairs and decided to save the next up hill walk for the Clio Cup and second BTCC race. Now official lunch break began. 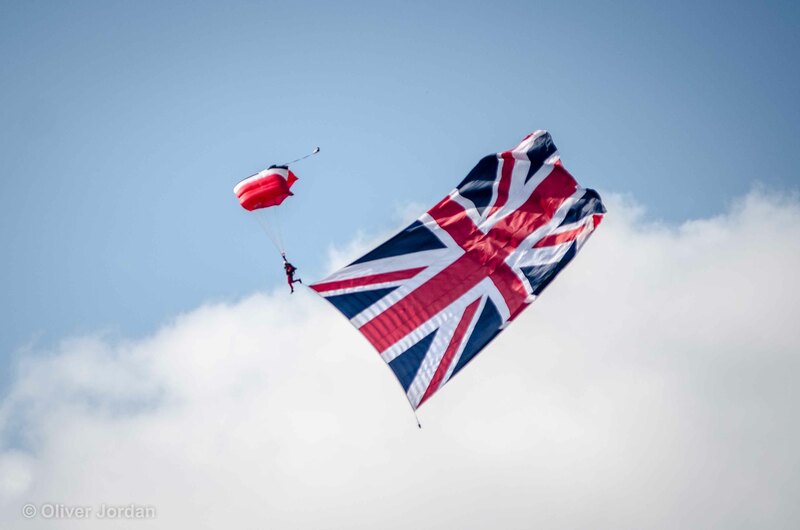 As the marshals wondered off for their sandwiches, the British Army took over with a parachute display by the Red Devils team. 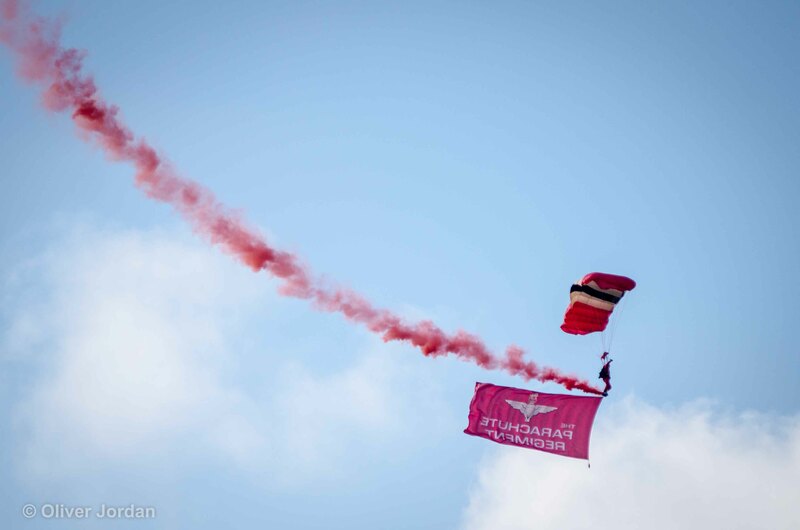 British Army parachute team, Red Devils. 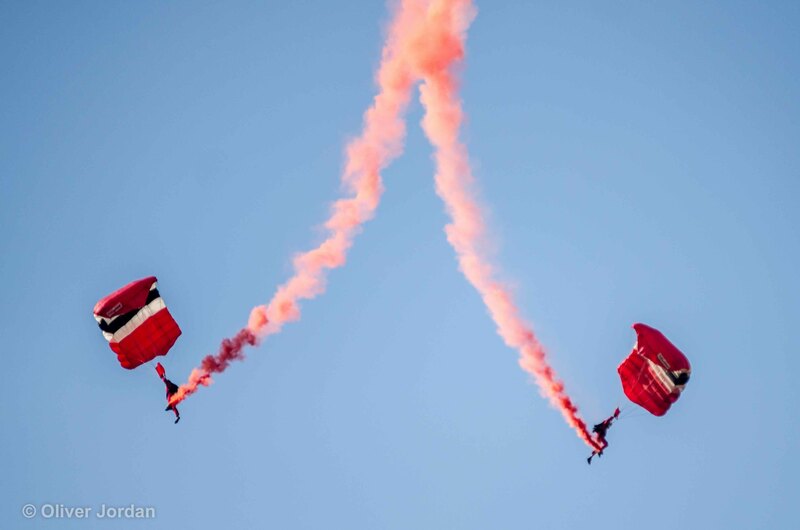 The announcer described the team history and the people who were performing the jumps. Everyone looked up in amazement at the display being performed. Once the display had finished, we put the chairs back in the car and headed back up the hill to Druids Corner to watch the Clio Cup Final. We found a gap between the safety fences to watch as the cars came up the hill towards the famous corner. The race was halted several times and the safety car deployed as vehicles were pulled from the gravel. 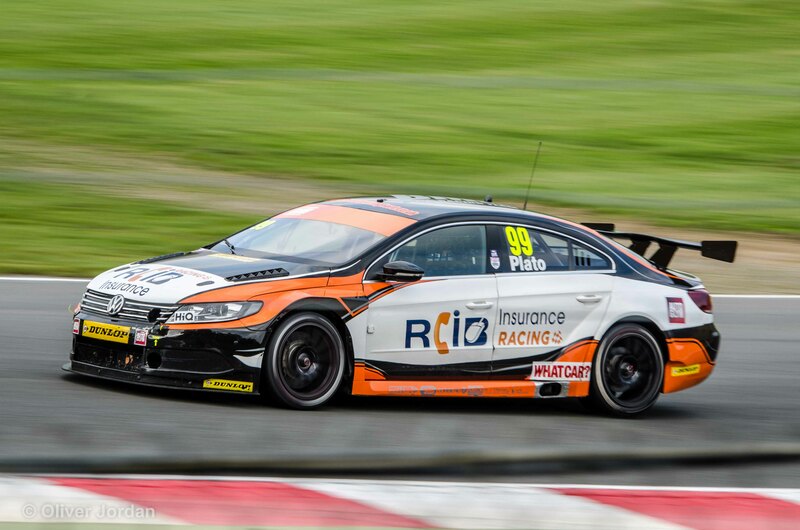 For the second BTCC race of the day, we headed over a bridge to the inside of Druids Corner. 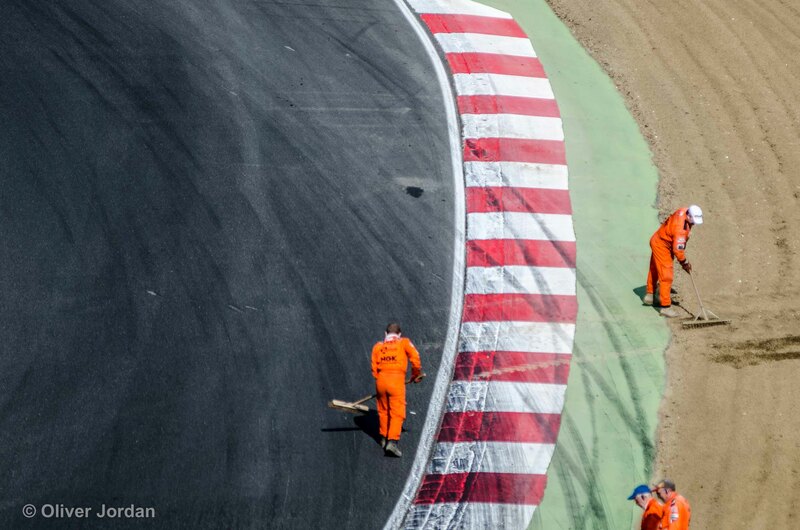 Marshals covered the track making sure there wasn’t any debris from the earlier races and raking the gravel flat. 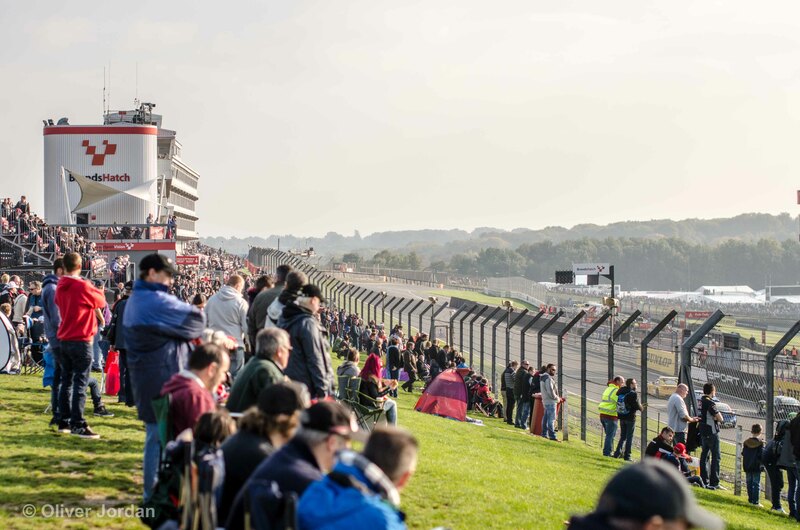 The second leg of the BTCC was now about to start and the crowd began to rally back to their favourite locations in preparation for the start. 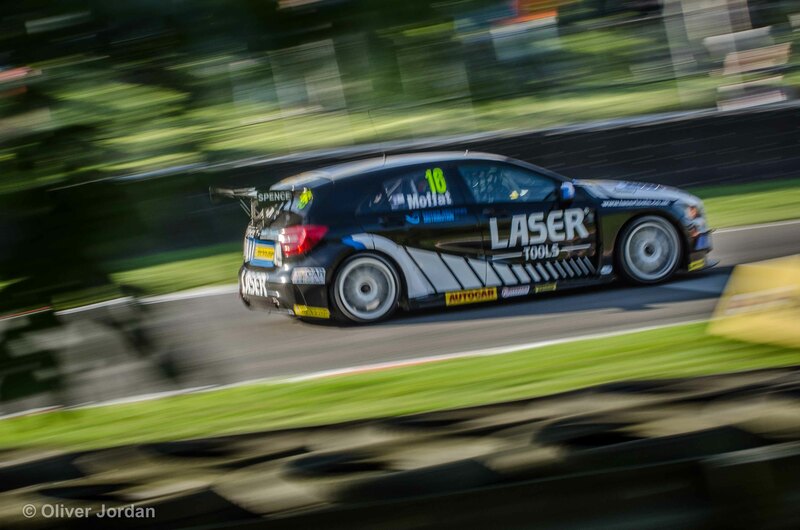 Once again the BTCC cars could be heard starting up on the straight from the other side of the track. By now the the drivers became slightly heated knowing that valuable points were needed in order to finish in a good place. Aiden Moffat through the trees. 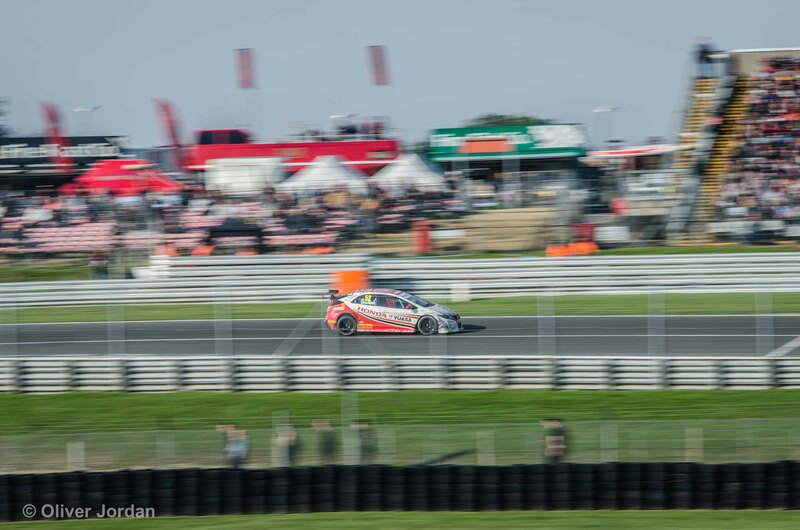 Gordon Shedden along the pit straight from Druids Corner. Quite a lot of contact was made during race 2, but all cars managed to finish. Several events were now over and the winners were being presented with their trophies. Over the Tannoy, the commentators were busy keeping everyone informed on the winners of each event. From the inside of Druids corner it was time to put the camera away temporarily and walk back to the pit straight in time for the BTCC final. As we walked around the track, the final of the Porsche Carrera Cup began. We reached the straight in time to see the last few laps and watch the winners of the rookie and pro categories over the line. It was now the event that everyone was waiting for. 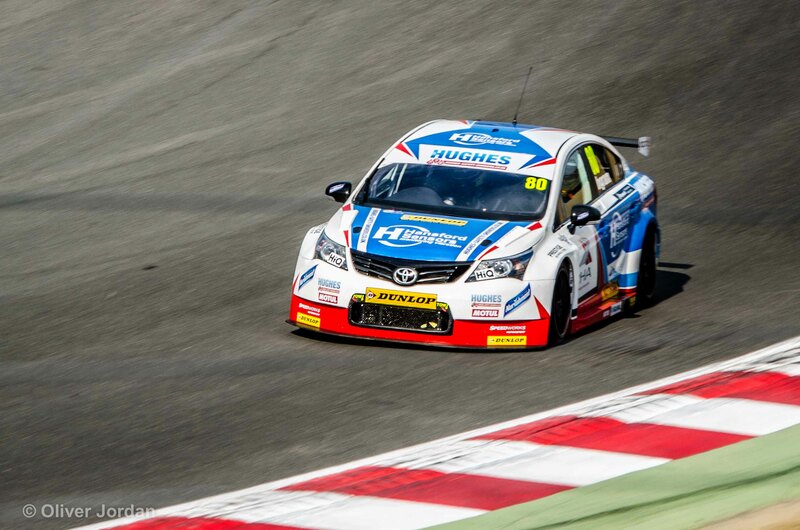 The final race of the BTCC to see who would be crowned champion. 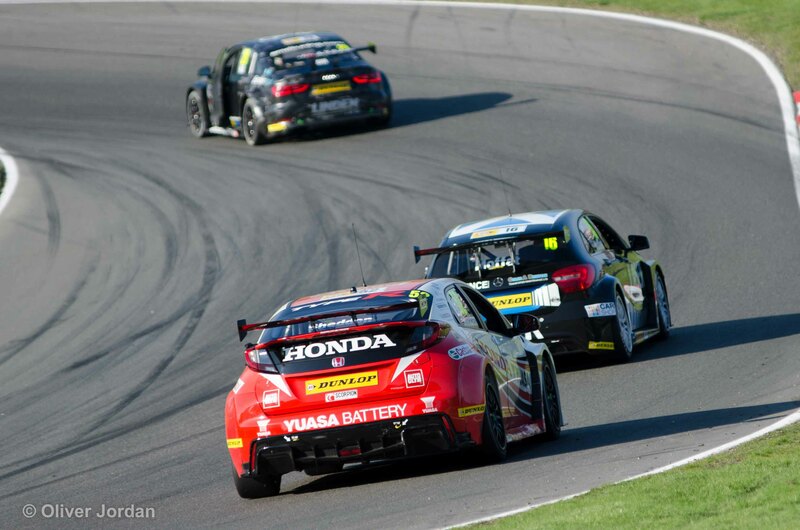 The race was close but in the end Gordon Shedden came out on top by 4 points, with Jason Plato winning the days race. The crowd were allowed back onto the track while the team set up the podium. Trophies were handed out to all the winners of the day for various races. 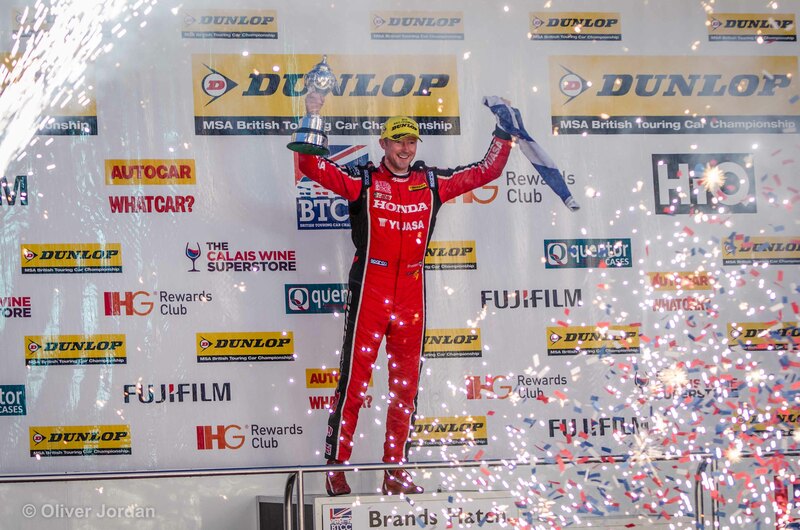 Gordon Shedden winning the overall BTCC trophy for the second time. As we walked back to the car the sun began to set. It was a tiring day being out well before sunrise and eventually getting back well after sunset. But it was 100% worth it. I am looking forward to next year’s series. 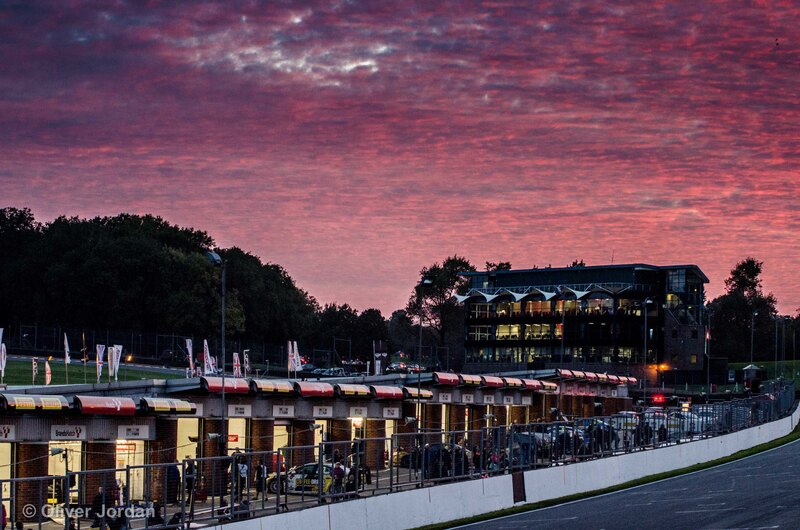 Until next time Brands Hatch. 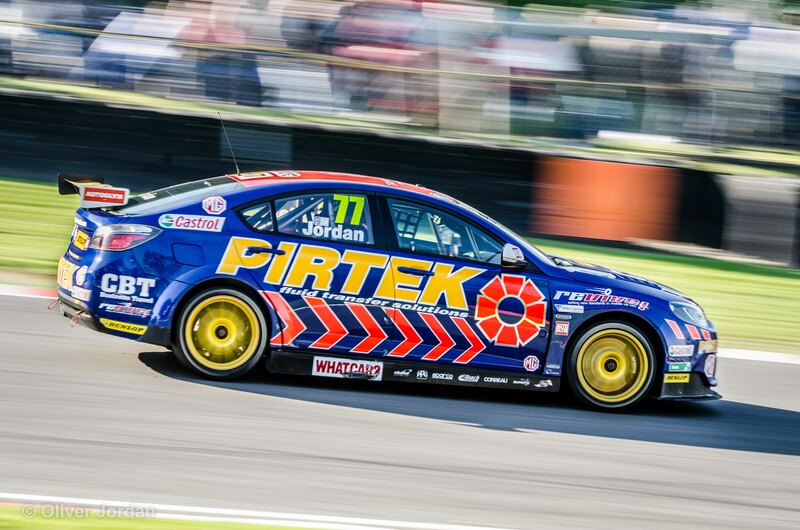 Good to see your BTCC finale report. 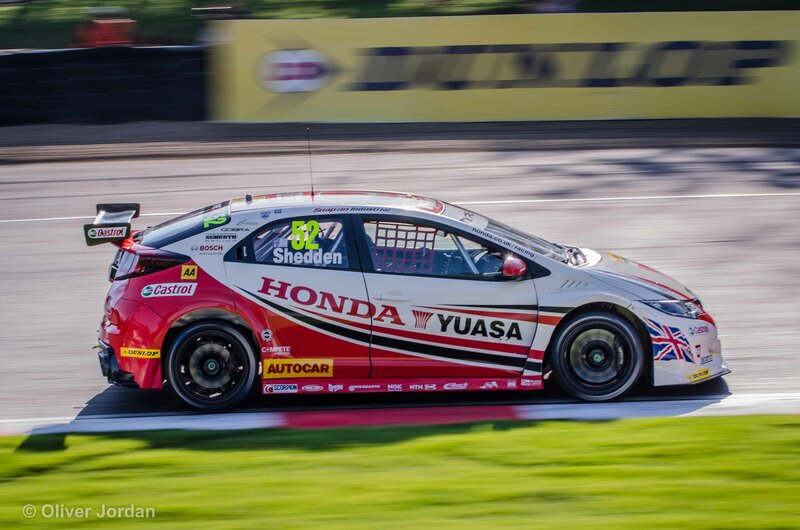 I think Shedden deserved the win, although I think Turkington did a pretty good job this year. I’m sure I’ve a few Plato close ups on my blog somewhere or other.